Size: approx. 3-4 mm. Photo: 08/13/11, 6 pm. 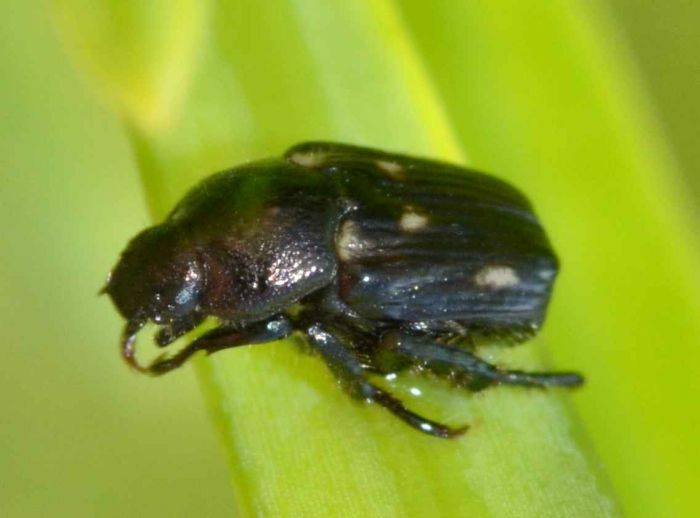 Pygmy Chafer: Strigoderma pygmaea. 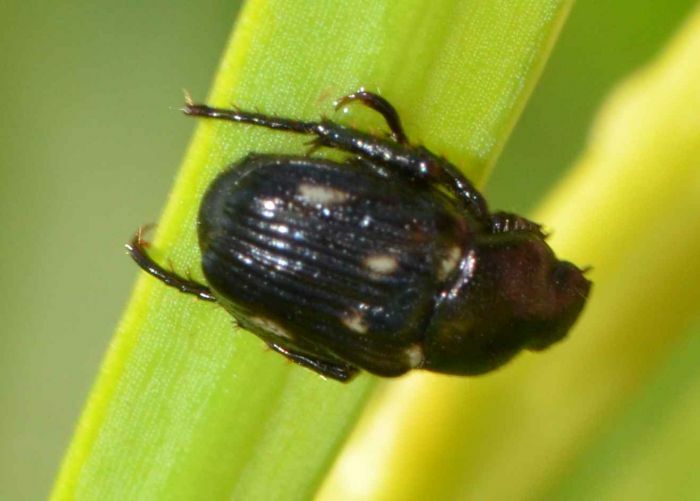 The adult beetles in this subfamily feed on foliage and fruits; larvae on roots and decaying vegetation.